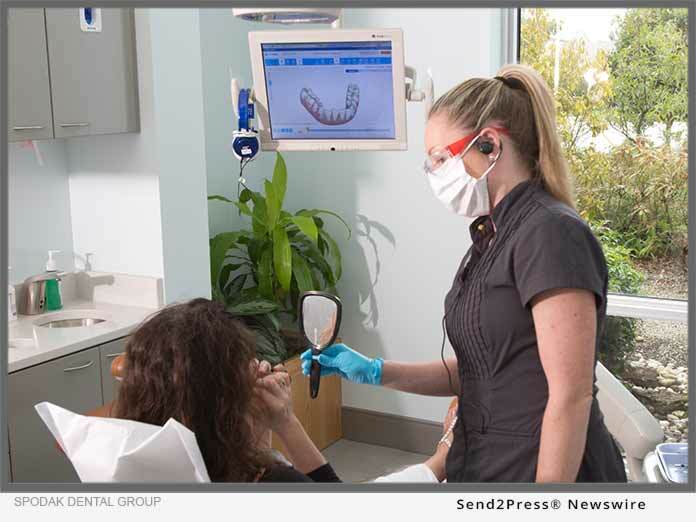 DELRAY BEACH, Fla. /Florida Newswire/ — Spodak Dental Group has earned the VIP: Diamond Provider of Invisalign(R) for 2018, which is the highest distinction in the field. VIP: Diamond Providers are the most experienced providers of the Invisalign(R) treatment, and include only a few of all North American Invisalign(R) Providers. Spodak Dental Group is one of the only general dental offices to earn the VIP: Diamond status in Palm Beach, Broward and Martin Counties. The team of dentists conveniently offers both Invisalign(R) Adult and Teen treatments. A doctor’s tier reflects the number of individuals he/she has recently treated with the comprehensive Invisalign(R) clear aligner treatment. Doctors who have achieved the VIP status are Valued Invisalign Providers, and have chosen to specialize in using the Invisalign(R) treatment to shape their patients’ smile. Invisalign(R) effectively treats a wide variety of cases, including crowding, spacing, crossbite, overbite and underbite, and consists of smooth, comfortable plastic aligners instead of sharp metal, reducing irritation on your teeth and gums. In addition to being a VIP: Diamond Provider, the Spodak Dental Group uses the iTero(R) Digital Scanning System to provide great quality of care and comfort for their patients. The System eliminates the need for messy putty in the patient’s mouth by creating a 3-D digital impression of his/her teeth. In addition to offering a faster and more comfortable experience, the iTero(R) System is also more accurate, which results in a more precise fit for the Invisalign(R) aligners. Spodak Dental Group is currently helping patients begin their Invisalign(R) treatment for $0 down and $199 per month for 24 months, interest free. Average treatment time is 10 months for adults, which is significantly less than traditional metal braces, in addition to being less expensive than braces. Since 1976, the Spodak Dental Group has evolved to become South Florida’s premier, comprehensive dental facility, and comprises a world-class association of dental professionals poised to provide full-service dental care second-to-none in both scope and skill. The Spodak Dental Group team includes General and Restorative Dentists, Endodontists, Periodontists, Prosthodontists, Board Certified Oral and Maxillofacial Surgeons, Master Ceramic Artists and Anesthesiologists, as well as one of the nation’s only in-office labs. Spodak Dental Group is located at 3911 W. Atlantic Ave. in Delray Beach, Fla. Please visit https://www.spodakdental.com/ or call (561) 498-0050 for more information or to make an appointment for a complimentary Invisalign(R) scan.